SWEDISH BUS manufacturer Scania is to set a new ‘personal best’ in delivering no fewer than 481 Euro 6 gas-powered articulated buses to the Colombian capital city Bogotá, it’s reported recently. The massive South American gas-bus order is to renew Bogotá’s TransMilenio Bus Rapid Transit system. 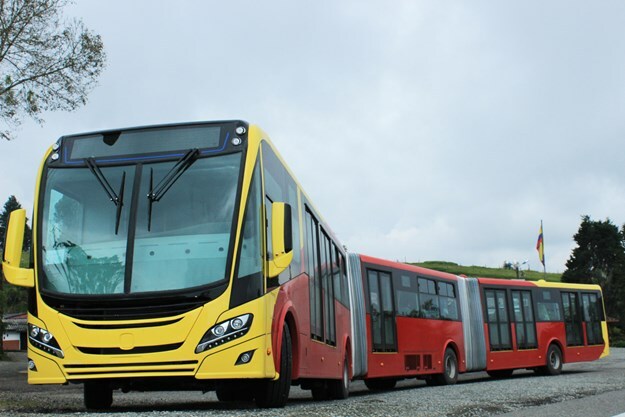 In a move that's arguably more akin to the city buying a 'fleet of trains', the massive South American order will see Bogotá get "the cleanest and most silent buses on the market" for the renewal of its TransMilenio Bus Rapid Transit system, the company states. Bogotá is replacing its earlier Euro 2 and Euro 3 buses with the latest in low-emission technology, with Scania’s Euro 6 gas buses representing "a huge leap in cleaner technology" compared with these older-generation buses, but also in relation to the more recent Euro 5 emissions standards, it explains. In operations with the new Scania gas buses, carbon emissions will be up to 20 per cent lower while emissions of particulate matter will be two to three times lower, it’s claimed. Emissions of nitrogen oxide are four to five times lower than Euro 5, says Scania. "We are very pleased with the outcome because this translates into significantly less pollution in Bogotá," said Juan Carlos Ocampo, Scania Colombia’s managing director. 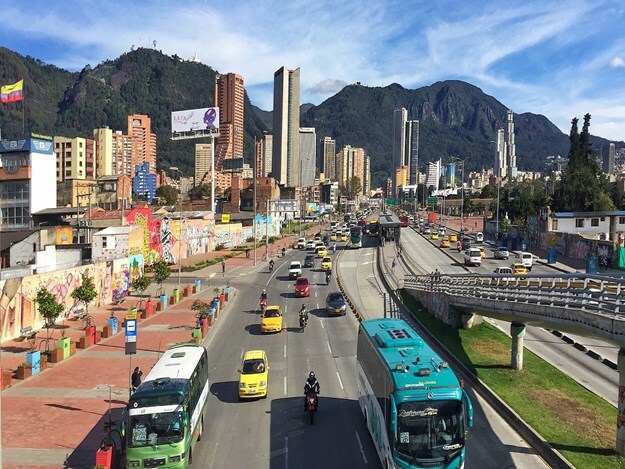 "The reduced emissions of particulate matter, nitrogen oxide and noise will contribute to a higher quality of life for Bogotá’s residents," he added. The bus network - originally established in the early 1990s - encompasses 12 lines totalling 112 kilometres, with 1.7 million passenger journeys every day. The public tender for the renewal programme focused on six of the 12 lines and, following the tendering process, the operator SI18 will now provide services for the three lines Suba, Calle 80 and Norte with the 481 Scania buses. They will go into operation during the first half of 2019, Scania confirms. The 179 articulated Scania K320 IA 6x/2 (320hp engine) buses have a capacity for 160 passengers, and the 302 bi-articulated Scania F340 HA 8x2 (340hp engine) buses have a capacity for 250 passengers. All the buses’ bodies will be built by Busscar. 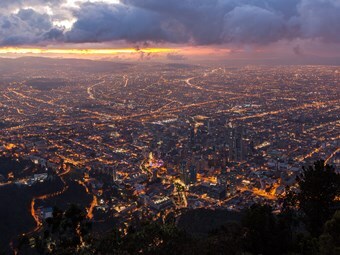 According to www.lonelyplanet.com Bogotá is, "…Colombia's beating heart, an engaging and vibrant capital cradled by chilly Andean peaks and steeped in sophisticated urban cool. "The city's cultural epicentre is La Candelaria, the cobbled historic downtown to which most travellers gravitate. Here, a potpourri of carefully preserved colonial buildings is home to museums, restaurants, hotels and bars, peppered amid 300-year-old houses, churches and convents. "Nearly all of Bogotá's traditional attractions are here, radiating from Plaza de Bolívar, and gorgeous Cerro de Monserrate is just east." As of 2017, its population was recorded as being 8.081 million.